As the population of Muslims in American rise, so has the number of Muslims celebrating Christmas with friends, colleagues and neighbors, the Religious News Service reported on Tuesday in an article carried by the Huffington Post. While the holiday may have seemed intimidating and a time of exclusion decades ago to the diminutive number of Muslims population, the rapidly rising Muslim population which now has reached 5.3 million according to a 2011 Pew study regularly engages in the Christian holiday. Many Muslims point to the significance of Jesus’ life in the Quran and in their faith for why they celebrate Christmas. While Muslims don’t believe Jesus is the son of God, or that he was crucified, they believe in the Virgin birth and also subscribe to the belief that Jesus was a prophet who ascended to heaven and will return as part of the Second Coming. Kadir said he participates in Christmas celebrations such as going to holiday work parties. Living in a multicultural country, many Muslim families create their own unique Christmas customs mixing their faith with that of those around them. “I teach my three children, who attend public school and happen to be born into an interfaith Christian-Muslim family, that we absolutely do celebrate Christmas because we are Muslim,” Hannah Hawk of Houston wrote in an email. The Hawk family also gives to charity, bakes treats for neighbors, and wishes friends, colleagues and teachers “Merry Christmas” with cards and phone calls. Hawk’s kids even get together with Christian friends to perform various good deeds. However, not all Muslims feel that participating in the celebration of another faith’s holiday is a well-meaning practice. Imam Muzammil Siddiqi, a former president of the Islamic Society of North America, has argued that Muslims should not celebrate Christmas because the holiday commemorates the birth of a figure celebrated by Christians as the Son of God, which goes against Islamic beliefs. However, protest against it hasn’t changed Muslims’ views from changing over a generation. 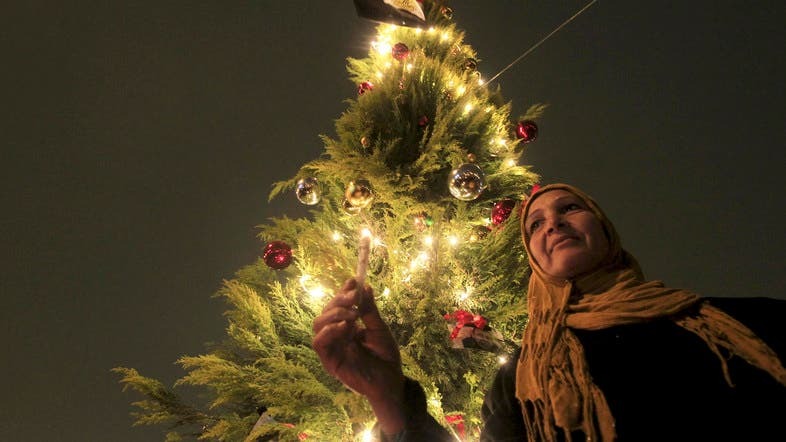 Zeyna Ahmed, an American-born daughter of Egyptian parents, was never allowed to celebrate Christmas growing up. Now that she has her own family, however, she celebrates Christmas with trees, lights and acts of charity. She also gets a menorah for Hanukkah. “Christmas, like Ramadan, is the perfect interfaith footbridge for Muslim-Christian fellowship,” she wrote. Islamic leaders in the Muslim community have also spoken out in favor of interfaith activities. Imam Talal Eid of Quincy, Massachusettes, a former member of the U.S. Commission on International Religious Freedom, said some Christians and Jews in America fast in solidarity with Muslims during the Islamic holy month of Ramadan, so Muslims can reciprocate.